Sézane's Ambre Bracelet is a beautifully crafted rendition of the classic bracelet with a touch reminiscent of all the good parts of the Art Deco movement. Made in France and conceived and designed with love, this Gold-dipped brass piece is something we want to wear with everything. Take your pick (or the whole lot) from the four color options below. 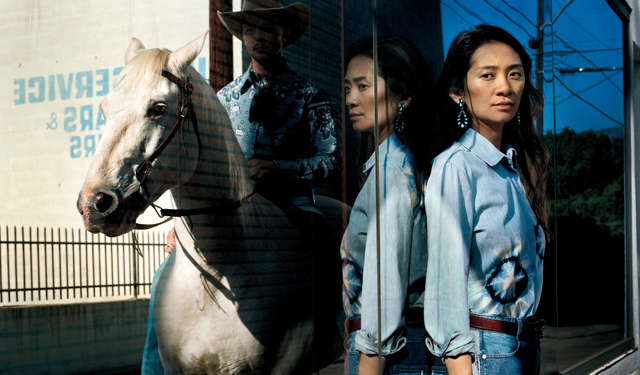 “I have an obsession with the old West,” Zhao tells me one unseasonably warm L.A. afternoon as we explore the Autry Museum of the American West in Griffith Park. In person, the filmmaker, who has the sinewy fitness of one who spends her spare time hiking and camping, is easygoing, dressed in a knockabout blue sweater, torn jeans, and moccasins, and toting a water jug large enough to keep an entire family hydrated for a week. She admires handsomely decorated pistol handles and tells me about the weight of buckskin coats. Amused and familiar—she’s a big hugger—Zhao seems a far cry from the filmmaker who’d make such a rigorous, pointedly unironic film.